Click on image in enlarge. FREE 35mm OUTDOOR SCREENING in RICHARDSON! 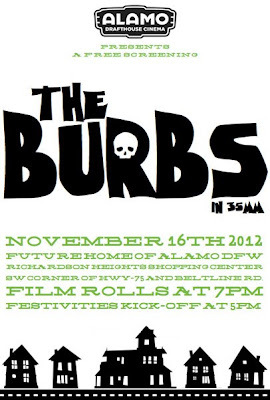 Alamo DFW is happy to announce a FREE 35mm screening of THE BURBS at our future location in RICHARDSON on November 16th. We'll present this Tom Hanks cult classic on our Rolling Roadshow's 40' outdoor screen. Stay tuned for more details.